> 11 childhood vaccines soon to be mandatory? 11 childhood vaccines soon to be mandatory? On Friday, June 16, 2017, the French Minister of Solidarity and Health said, in an interview with French daily Le Parisien, that she was considering “making the eleven vaccines intended for children mandatory, for a limited period of time”. Today, only childhood vaccinations against diphtheria, tetanus and poliomyelitis are mandatory and eight others (against whooping cough, hepatitis B and measles, among others) are recommended. Vaccination involves protecting an individual against a disease by stimulating his or her immune system. It is the most effective means of preventing and even eradicating many infectious diseases. However, in France, skepticism is gaining ground and we see certain diseases reappearing that up until now had virtually disappeared. This is particularly the case for measles, of which 189 cases were reported between January 1 and April 30, 2017, according to French health surveillance institute InVS. Should we get vaccinated? Should we get our children vaccinated? How does a vaccine work? Does vaccination really protect us? 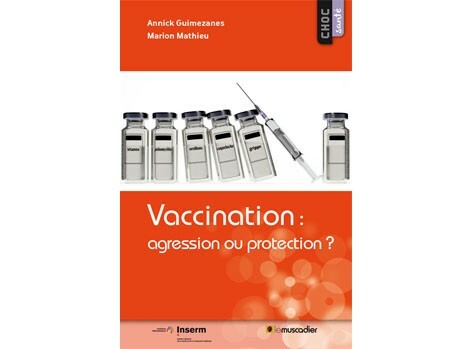 The book “Vaccination : agression ou protection ? [Vaccination: aggression or protection? ]” (published in French), as part of the “Choc Santé” collection, answers these questions and many others. It is written by Annick Guimenazes, Inserm researcher at the Marseille-Luminy Immunology Center (CIML) and Marion Mathieu, PhD in biology and ESPCI-ParisTech engineer.